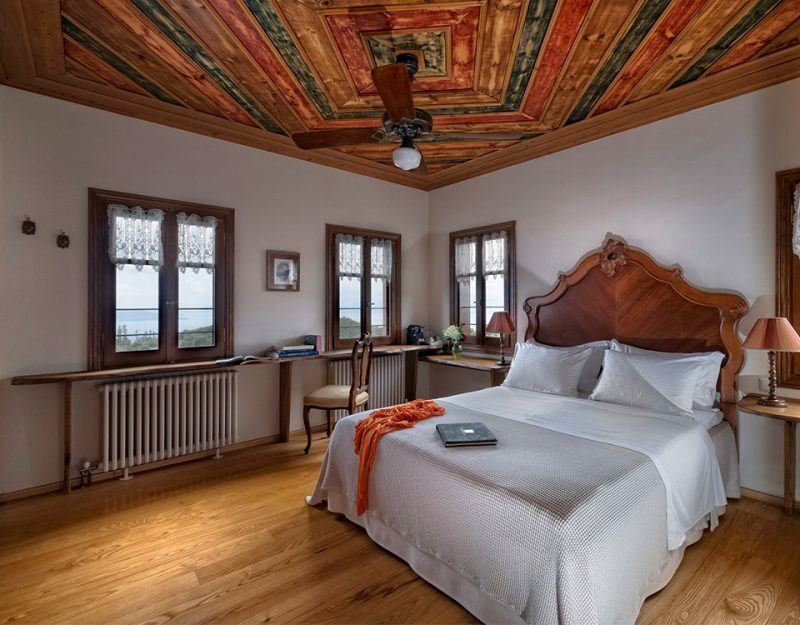 The Sakali Mansion is a luxury accommodation establishment, in the village of Pinakates, in the mountain of Pelion, in Greece. The room amenities, as well as the hotel facilities, will make your short or long term holidays an unforgettable experience. 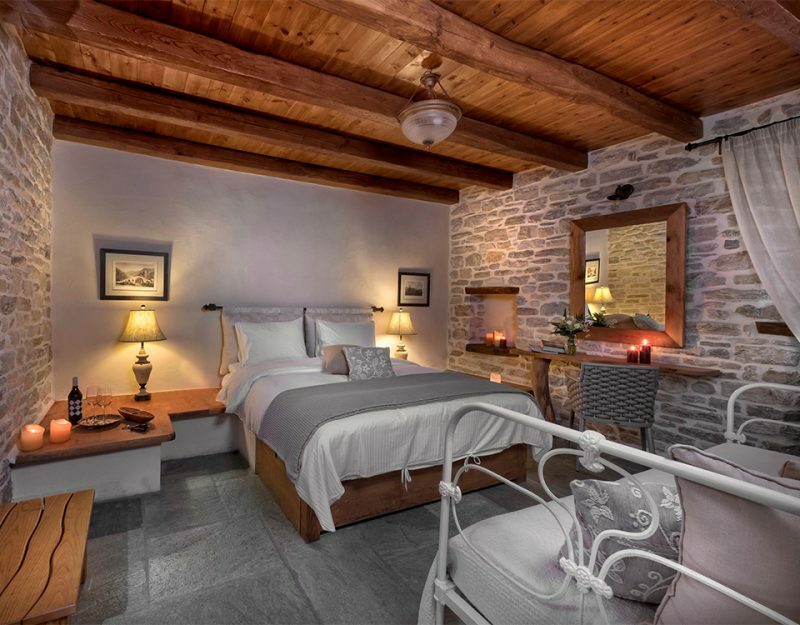 As one of the most charming, boutique, traditional guesthouses in Pelion, it features double and deluxe rooms, as well as a luxury suite, that uniquely combine tradition with contemporary design and warm atmosphere, providing guests with exceptional services. 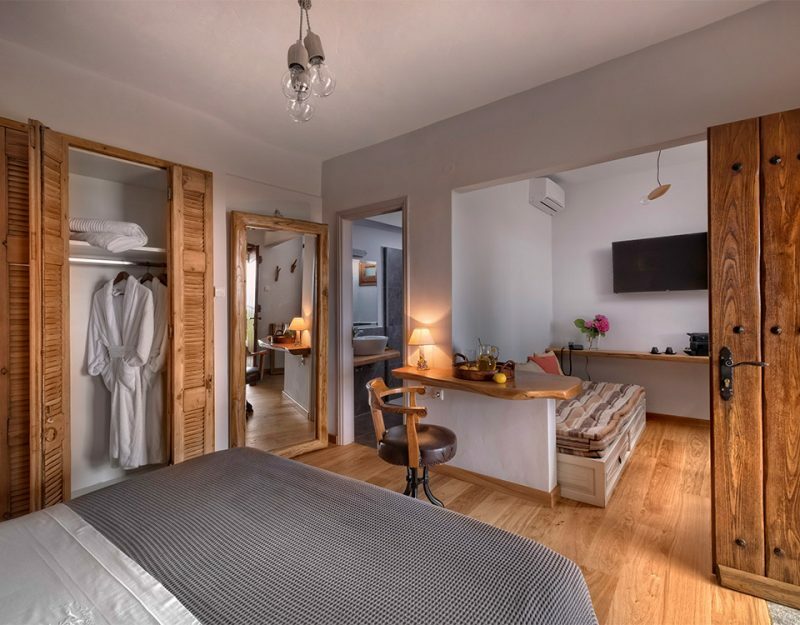 This stunning traditional guesthouse in Pelion has 4 double rooms (2 of which can accommodate an extra person), 1 superior double room (it can accommodate an extra person), 2 deluxe rooms, 1 junior suite and 1 family suite. 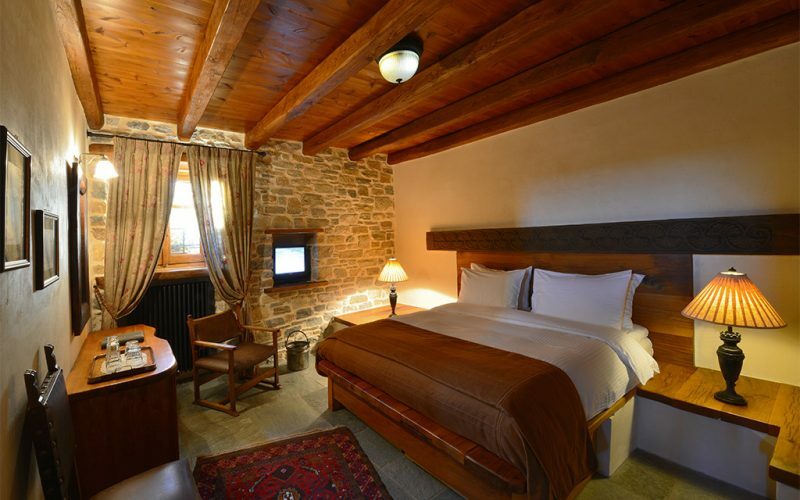 Emphasizing on finesse and discreet luxury, all the accommodation rooms have flat plasma televisions, a fully stocked mini bar, a safe deposit box, a hairdryer, sumptuous fabrics, original artwork, a superb collection of restored antiques, handmade rugs and beautiful lamps. 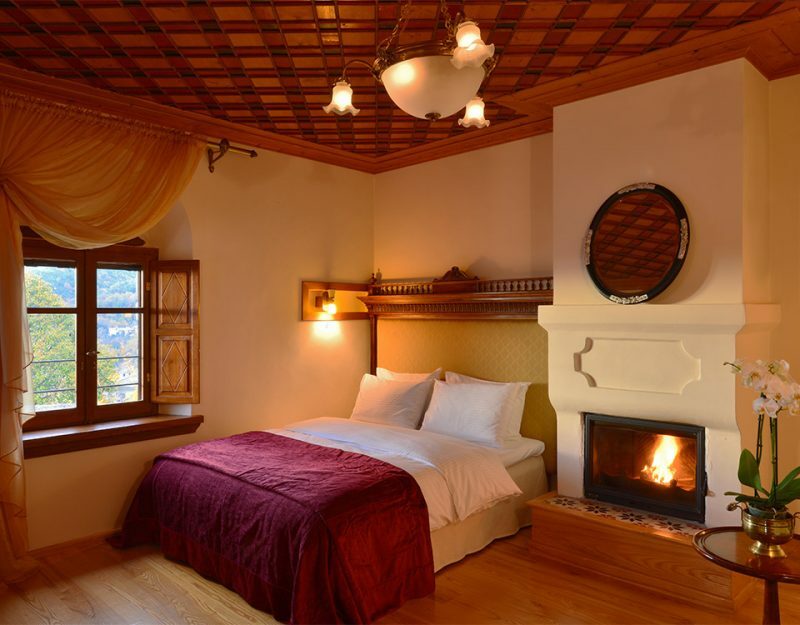 All beds have COCOMAT mattresses and guests will enjoy the APIVITA amenities in the bathrooms. 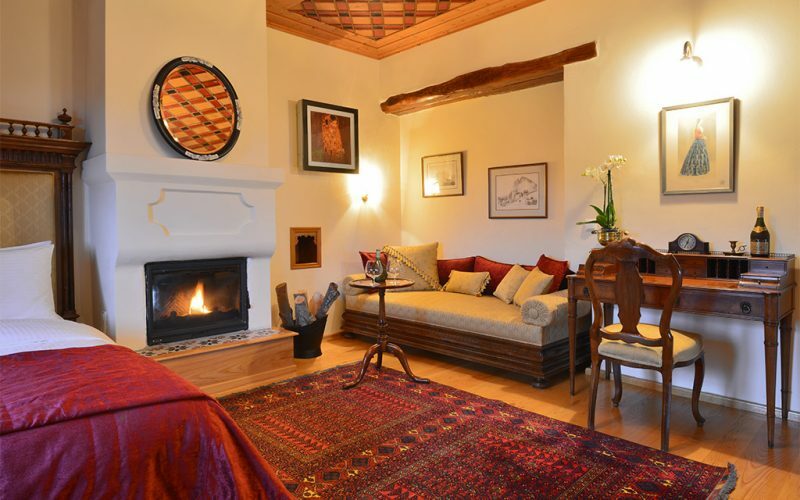 All these luxury amenities make this beautiful mansion, in the village of Pinakates, one of the best accommodations in Pelion and an ideal getaway for the winter or the summer months. 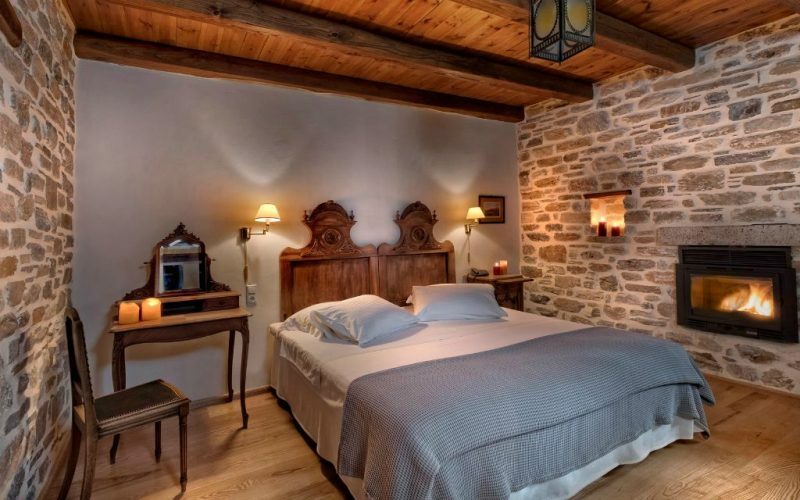 The double and deluxe rooms, as well as the luxury suite, of Sakali Mansion in Pinakates of Pelion, marry charming old-world elegance with contemporary facilities. They are all decorated with a different style and a meticulous attention to detail. 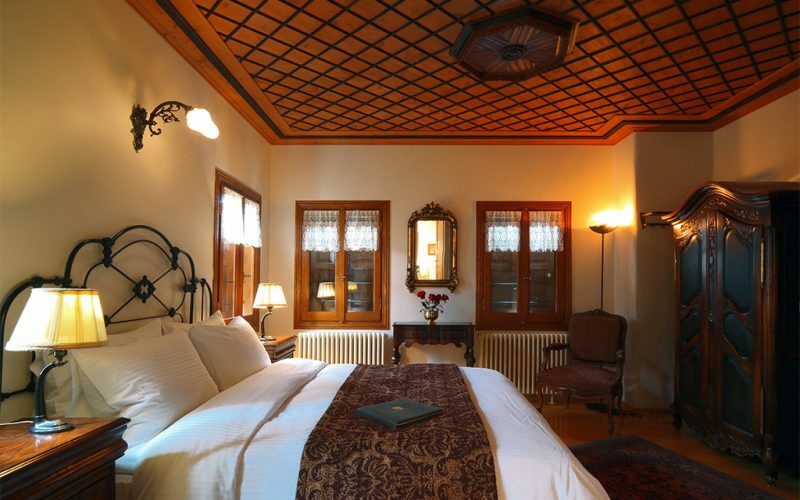 This guesthouse’s ambience strictly follows tradition, something that projects not only on the architectural style, but also on the decoration, the furniture, the colors, the fabrics and the motives used. 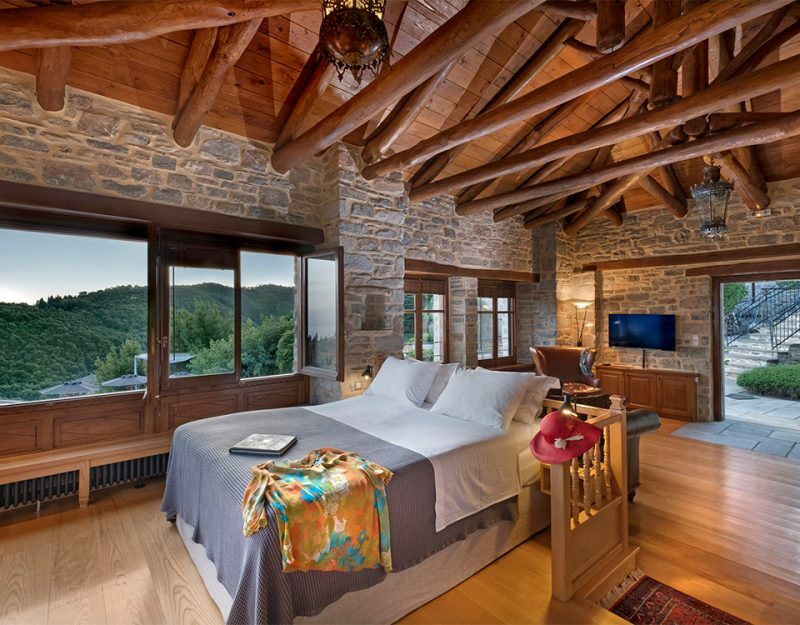 Tradition and luxury are so uniquely combined in this fine establishment, in Pinakates village, in Pelion.